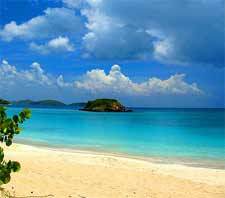 Summer may not be when you typically crave a vacation to the Caribbean, but heading to the islands for some sun and beach in the summer months is actually a terrific way to save money. Summer means low travel season in the Caribbean, which also means for some screaming good deals. While all-inclusive vacations may not be for everyone (or the way you typically travel), even backpacker types like me feel tempted by the idea of all-you can eat buffets, unlimited pina coladas and a week by the calming Caribbean waters for less than $50 a day. In fact, I’d probably make sure I drank at least $50 a worth in cocktail with umbrellas. For those who may want to head on a Caribbean vacation, but still aren’t so sure how they feel about going the all-inclusive route, there are still plenty of great deals to be found on everything from airfare to hotels in the islands. In fact, now is a great time to get a great price on airfare to the Caribbean. If you would like to spend your time in the Caribbean aboard a cruise ship, now is definitely the time to head out on a great Caribbean cruise. With many of the major cruise liners hurting for business in a bad way, there are some really amazing deals out there on all sorts of cruises. And, with discounts abound, you may just be able to afford to upgrade rooms and a buy few more souvenirs on the road.